Downtown Seattle’s Olive 8 Condominium reported they’ve taken in 15 new home sales, representing about $10 million, since their January 1st pricing reset. Trace North, located in the Pike/Pine Triangle area of Capitol Hill has just 15 homes remaining – a mix of studio, open one-bedroom, one-bedroom and two-bedroom units. Trace recently reduced prices with homes now starting from $199,950 and ranging up to $444,950. Mercer Island’s boutique 7800 Plaza Condominium development has now sold over 60% of its inventory, leaving just 9 two-bedroom homes available. 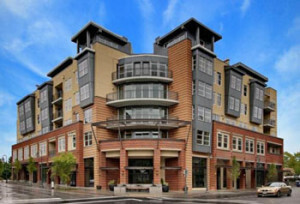 The concrete and steel constructed 7800 Plaza is located in the downtown district of Mercer Island, close to numerous shopping and dining options. Prices range from $479,500 to $749,500. The Marselle Condominium, located just north of Belltown, is 65% sold. Homes are priced from $219,990 for an open one-bedrom unit, from $349,990 for two-bedrooms while the two-level penthouse townhomes start from $479,990. Marselle is approved for 3.5% down FHA or VA financing. The March 5th Gallery Condo auction is just two-weeks away. Two positive items to note about this particular auction are: (1) there is no hidden/unpublished reserve amount, so the highest winning bid is the selling price, and (2) the developer is offering a buyer’s bonus up to 3% of the purchase price. The auction features 25 open and one-bedroom homes and are FHA/VA eligible. If you’d like to learn more or to set up a tour of these wonderful Seattle condo opportunities, we’re here to help. Just call, text or drop us a note. Disclaimer: Olive 8, 7800 Plaza and Trace North are current advertisers of The Seattle Condo Blog at time of publication. This would come across as less as a marketing piece for advertisers without words like “just.” Reading that “Bob’s Condos has just 15 units left” – for any value of 15 – isn’t adding value for readers. It’s an ad. @Alex Thanks for your feedback, I appreciate it. We’ll do better at providing content of greater value. Hats off to the marketing team at Olive8. Aren’t they pretty new? I think this was the building I was saying ‘good luck!’ to the new marketing group – thinking they were being overly-optimistic.